On sale! 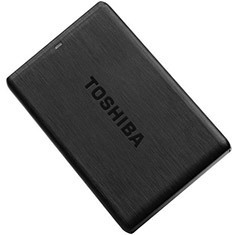 (normally $89) Discover one of the easiest ways to add storage to your computer with Toshiba's Canvio Simple 3.0 portable hard drive, offering one of the simplest storage solutions right out of the box. 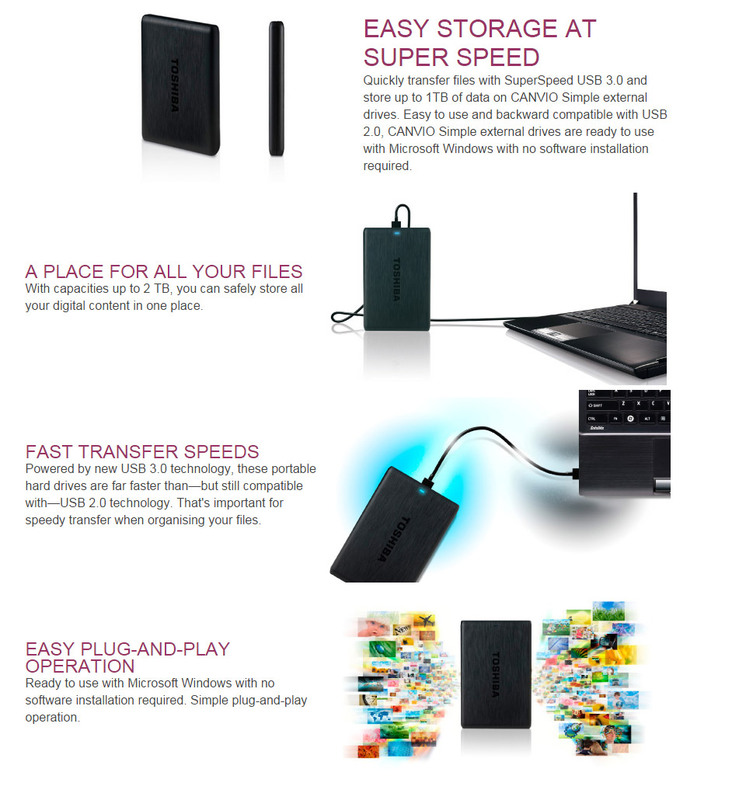 For those who want easy, effective drag-and-drop storage to manage their growing digital library, the Canvio Simple 3.0 is a great solution. 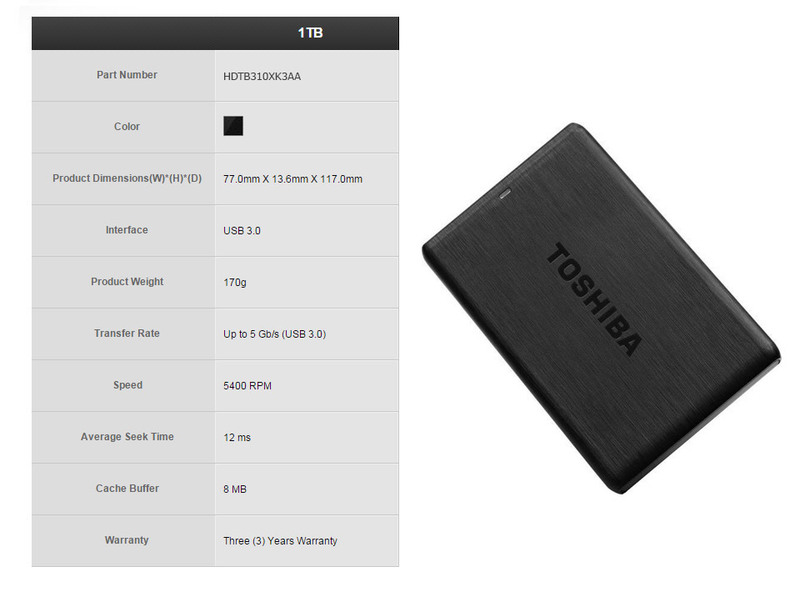 Powered by USB 3.0 technology, it lets you copy even some of the largest files off your PC and onto the drive faster than ever before. Thanks to a special internal shock sensor and ramp loading technology to guard against accidents and drops for greater peace of mind, it's also the perfect way to share or transport your digital content.